Will BCCI Question R. ASHWIN Over Jos Buttler’s Run-Out ? 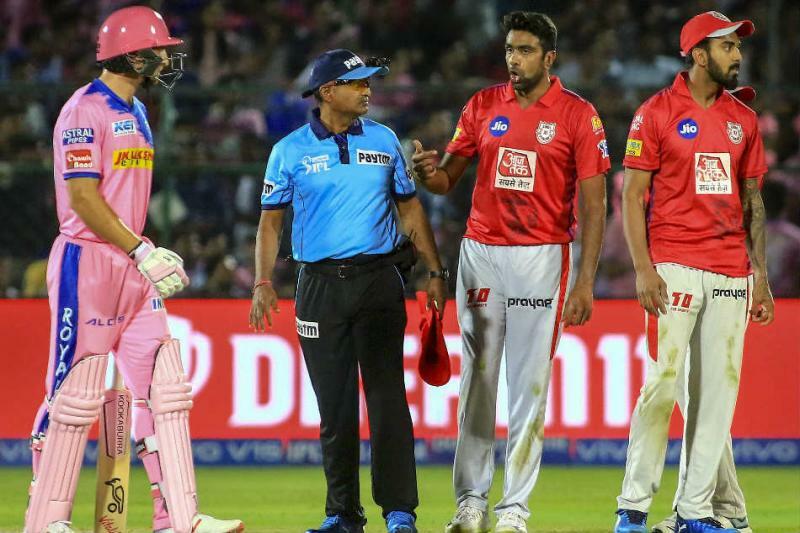 Ravichandran Ashwin is being criticized about Jos Buttler’s run-out in the match played between Rajasthan Royals and Kings XI Punjab. On Monday in the 4th match of IPL, Kings XI Punjab defeated Rajasthan Royals by 14 runs. In 20 overs Punjab scored 184 runs and set a target of 185 for Rajasthan. Rajasthan’s innings started really well as Captain Ajinkhya Rahane and Jos Butler added 78 runs for the first wicket, giving Rajasthan a solid start. 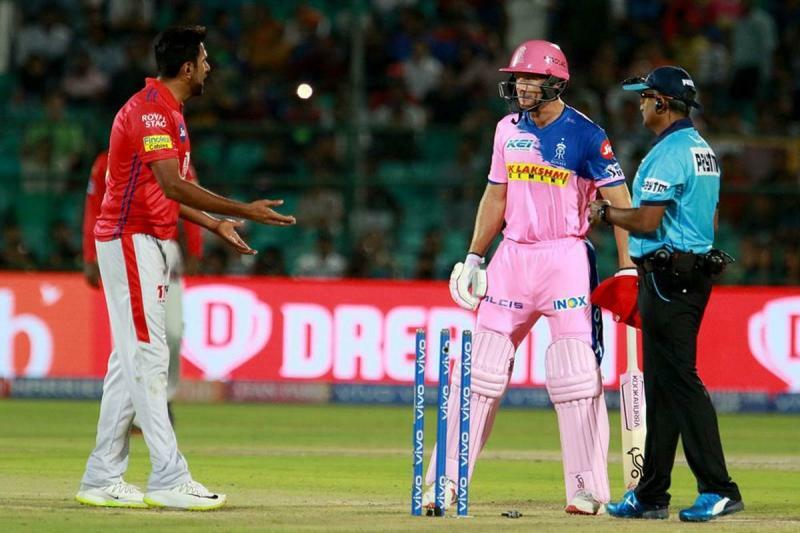 After Rajasthan Royals captain Ajinkhya Rahane got Sanju Samson joined Buttler on the crease to take the match forward. Sanju Samson and Jos Buttler were playing exceptionally well before Butler was dismissed by Ashwin. 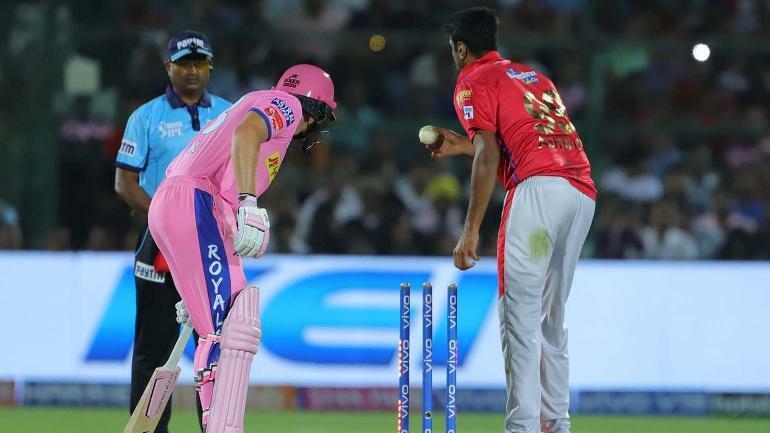 Ashwin mankaded Buttler in controversial circumstances in the 13th over with Rajasthan scoreboard reading 108 for two. Mankading refers to a situation when a bowler runs out a batsman who leaves the popping crease before the ball is being bowled. Replying to this controversy IPL chairman Rajiv Shukla tweeted that it was decided in presence of Chennai Super Kings skipper MS Dhoni and Royal Challengers Bangalore captain Virat Kohli that players won’t be ‘Mankaded’ was before the international rules were changed, claimed a former league Governing Council member.